Which Type of Seats Do You Prefer? The Library is planning to replace the obsolete sets of booth seats situated at 1/F. 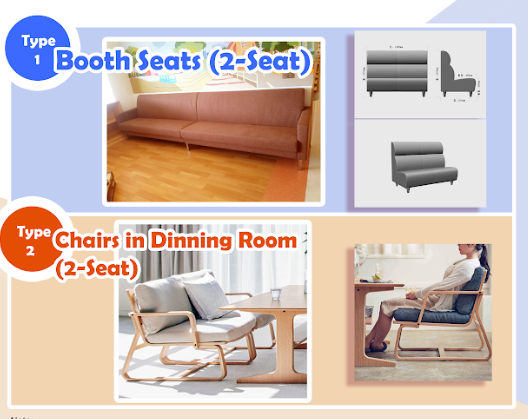 In order to provide the most suitable seats for your study, we sincerely invite you to vote for your favorite type of seats. You may visit the G/F of the Library and discover more information. Please come and cast your vote by 21 March 2019. Your valuable feedback can make a difference in the Library!